The Beekin Volunteer Program is the group of community members that use some of their free time to help the other players in Furcadia. The name comes from our benevolent Prime, Beekin the Help Dragon. The Beekin Helper Program consists of the Beekin Council and the Beekin Volunteers. The Associates also run the Beekin program. Beekin Volunteers provide their assistance to all Furcadians with the aid of a help channel, some special training, and a general air of friendliness. They represent players from all areas of Furcadian life and have a target number of 10% to 30% of furre kind. These volunteers are not required to be on duty at all times of play and only sign on their channel or turn on their badges when feeling prepared to help. It should be mentioned that most Beekin Volunteers will not be there to handle trouble. Enforcement of rules is only the duty of Guardians and all trouble should be referred to them. The Beekins are a volunteer program. This means anyone can apply if they meet the application requirements of the group that is being applied to. These volunteers will help with technical support for Furcadia and with isolating and reporting bugs in the game. You need a clear understanding of computers and a logical mind to be in this group. Previous experience in other places with quality assurance or tech support is a help. This is a limited group and will be by interview only. The Guardians, previously known as 'The Owsla', are charged with enforcing the rules in Furcadia to keep troublesome behavior to a minimum. The Guardian should be patient and tolerant above all, mature and easy going, with a strong sense that this is his or her community and a desire to serve it. What the Guardians do not need are those with attitude, or power trippers, or status seekers. This position is not about being 'special'. It is about giving yourself to the community. This group is very limited and most who apply will not get the position. You must have been in Furcadia 6 months to apply. The Beekin Helpers receive questions and concerns sent to the Help Channel or brought directly to them. The Helpers roam Naia Green to take questions and also additionally take calls on the Help Channel. You need to know a lot about Furcadia to join this group, have a lot of patience, type well and fast, and it also helps to have special knowledge of things like patch making, DragonSpeak, and other aspects of game play. You must have played Furcadia for at least 3 months to apply here. 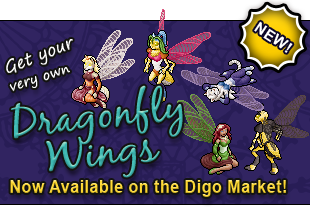 Masons are here to help players with dream weaving, DragonSpeak, and other aspects of making your own map in Furcadia. They will also happily tour players' dreams and offer constructive criticism to help the builder if asked. Master Masons, those with the green badge, help with main maps and in choosing permanent dreams. This is the group for you if you love to make dreams and help others to learn! You must have been in Furcadia 2 months to apply here. A sample dream must be submitted with the application. These are the volunteers associated with art in Furcadia. 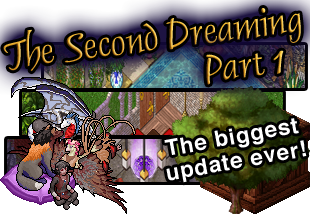 They will assist with art patch related questions, help choose good patches to go on the server, and keep an art archive for the Furcadia pages. They may also work on official patches, Furcadia web graphics, and official game art. You will need to be a good artist with knowledge about Furcadia patching to be in this group. This group is limited and will require an interview and both art and patch samples. Examples of artwork must be attached to the application. The Scribes are Furcadia's link to the web. They build and maintain the official website. This is a relatively small group, and knowledge of HTML code and basic web-scripting languages is required to work on the website. This is a limited group which is usually invite only but we've opened applications for a short time. You must be aged at least 18 to apply. You're not required to have every skill noted in the application to apply for the group. The Welcomers are a vital and important group of Beekins, since they are the first furres a new player is likely to meet. Welcomers influence whether or not a newfurre finds Furcadia an inviting and friendly place to be. They greet newfurres upon arrival in Furcadia, help with first steps in Furcadia, finding new friends, and if requested; show newfurres around. Welcomer Beekins are alerted when a newfurre arrives in the world and may "claim" the new arrival. There is a special welcome map where Welcomers watch over newfurres as they learn the basics of Furcadia. An ideal Welcomer is an active, friendly furre who loves Furcadia and other Furcadians. You must have been in Furcadia for at least 3 months to apply. Beekin Teachers are available to teach classes to new Beekins in the Beekin's Aerie. But not only will they guide new Beekins on their way to being full participants in their groups, they will soon give 'side classes' to those who ask them. Check out the Events Calendar for current classes. Please note: You cannot apply to become a Beekin Teacher. The Eventers are a rare breed of helpful furre. If you see one, you know you can follow them to fun! Eventers are chosen from the most friendly and helpful members of the other Beekin Groups. They host both spontaneous and planned events, like snowball fights, firework displays, trivia contests, greased tusker races, and more! The Eventers are also part of the team that runs the many Festivals that come to Furcadia each year!